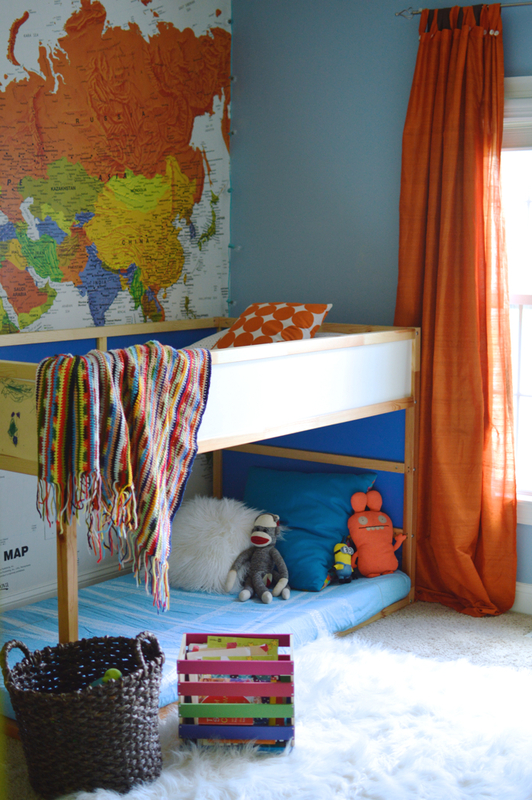 Design Addict Mom: Mapping It Behind the Bed. Mapping It Behind the Bed. * *This post may contain affiliate links or products for review. 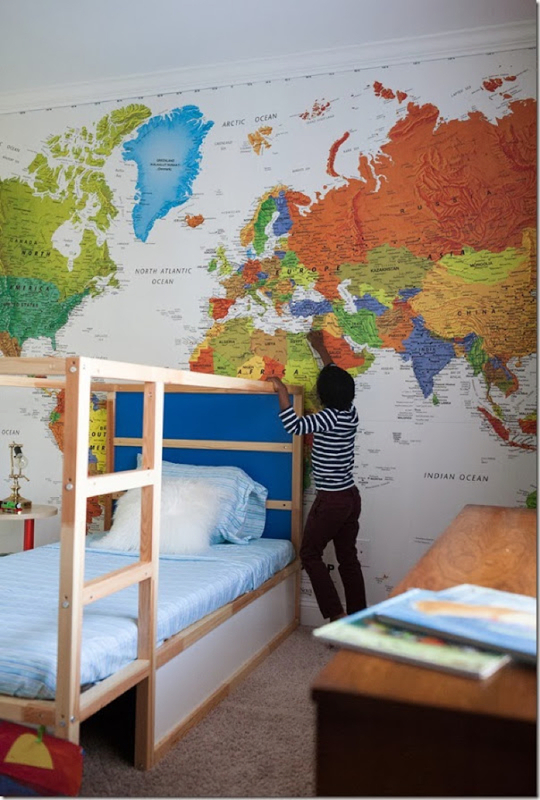 The map wall in Zion's room is still a huge hit. 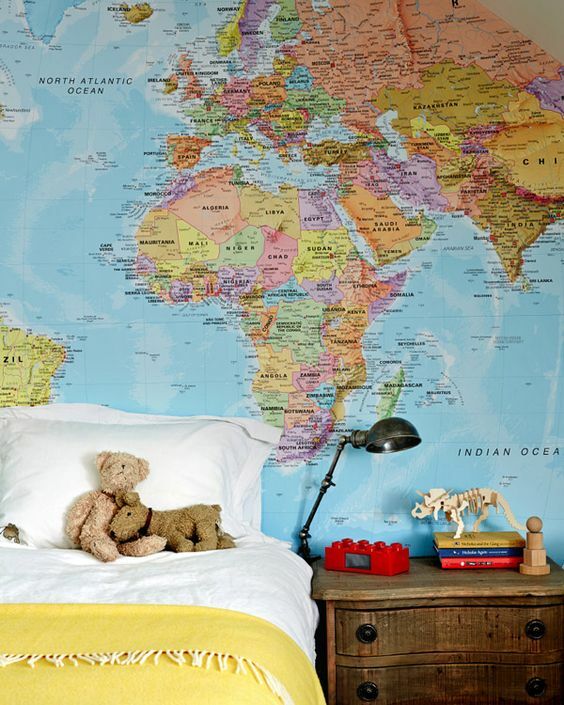 For the many people who have asked where it's from, it is the York Wallcoverings MP4945M World Map, Mural. 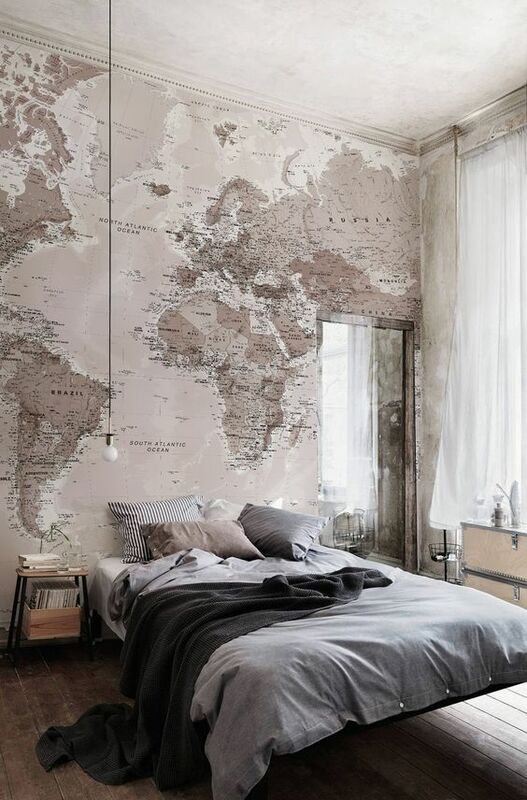 Map wallpapers are still very much on trend and I've noticed that placing them behind the bed seems to be a fave. Our map wall in Zion's room. Pic by Lea Hartman. 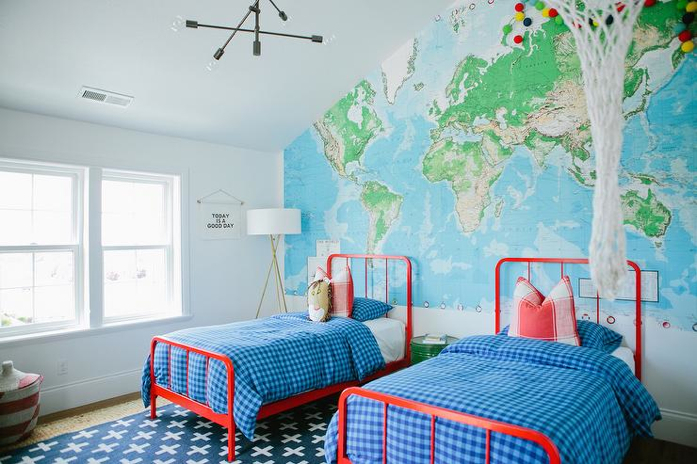 I love a map wall and Zion's bedroom is a favorite! Just love the colors - happy Sunday! I've always loved Zion's wall and would love to do it for my daughter's room some day. We are still in a rental so it'll wait until we're in our next place!